THE headline article of The Standard newspaper raised a number of issues regarding the design and implementation of the Command Agriculture programme. These issues were raised, discussed and resolved during the design and inception of the programme, especially the first maize crop of the 2016-17 season. I am therefore glad to clarify the following. 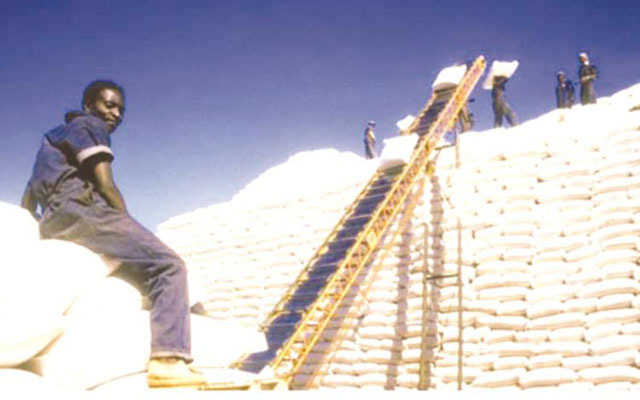 The Command Agriculture programme was designed to solve a fundamental problem facing our country in the aftermath of the land reform, that of mobilising sustainable and affordable funding for our agriculture so as to ensure food security, eliminate imports of food to increase exports from this sector and reduce poverty. The 2016-17 harvest sets the stage for achieving this goal. Let me thank Sakunda Holdings, for thinking out of the box and coming forward to assist Government. If many more local private sector companies rise to the challenge, this country is poised for the African renaissance. The Ministry of Agriculture has a database of all the beneficiaries of Command Agriculture, which database is expanding as more farmers seek to benefit and as more activities are added. As of now, apart from maize we have added wheat, soyabeans and livestock. No farmer benefits unless they are registered in the database. The financing terms under Command Agriculture are at an all-inclusive interest rate of five percent with a tenure of one year, to allow farmers to sell their produce. We looked around in Zimbabwe and abroad, no banking or other institution could match these terms, which are ideal for the agricultural sector. I wish our banks could offer affordable terms to farmers so that in future such programmes could be done through normal banking channels. Just like the Command Agriculture term sheet which we have already verified that no other lender can match, we have verified that prices for inputs under Command Agriculture are the most competitive, much lower than most retail suppliers because they benefit from bulk buying. We will continue monitoring market conditions to ensure that Command Agriculture does not distort the market and that farmers access inputs at the most competitive prices. With assistance from the Command Agriculture programme, our farmers are now accessing medium-term loans at low interest rates for purchasing equipment for Command Livestock and developing irrigation. As we all know and is prudent, any lending institution would require collateral, which security our farmers cannot afford at this stage. We, therefore, agreed to provide security to all farmers under Command Agriculture in the form of non-tradable Treasury Bills and a small part through the NocZim Debt Redemption Fund. The Treasury Bills are not tradable until maturity and which time they will be released as farmers honour their ob- ligations. Under Command Agriculture, all farmers are required to pay back the loans. A stop-order scheme has been designed with GMB and other stakeholders to facilitate farmers paying back the loans. The programme is not at all free for the beneficiaries. As Treasury, any Government programme we fund, we do it with the respective line ministry. In this case, the Ministry of Agriculture is leading in the implementation of Command Agriculture. Like any other large national projects, all other arms of Government including the police, army, et cetera, are engaged to ensure effective implementation and under this programme, to avoid side marketing and other forms of indiscipline. We have lately incorporated periodic reviews as key exercises in the implementation of this programme so that we adapt the programme to evolving circumstances and ensure Government gets back its money. Finally, when our forefathers were dispossessed of their land, the Smith regime provided subsidies and soft loans to nurture its farmers for many years. Let me also point out that every country the world over provides some form of subsidy to their agricultural sector. This is a statement by Finance and Economic Development Minister Patrick Chinamasa in response to the article in The Standard newspaper on Command Agriculture.